With the advent of Christmas, it's fun to imagine what may cross your path as a gift for the day. Like a child joyfully opening a numbered door on an advent calendar, you may be surprised when you make an intention to receive from the Angels. With a playful spirit, I did. 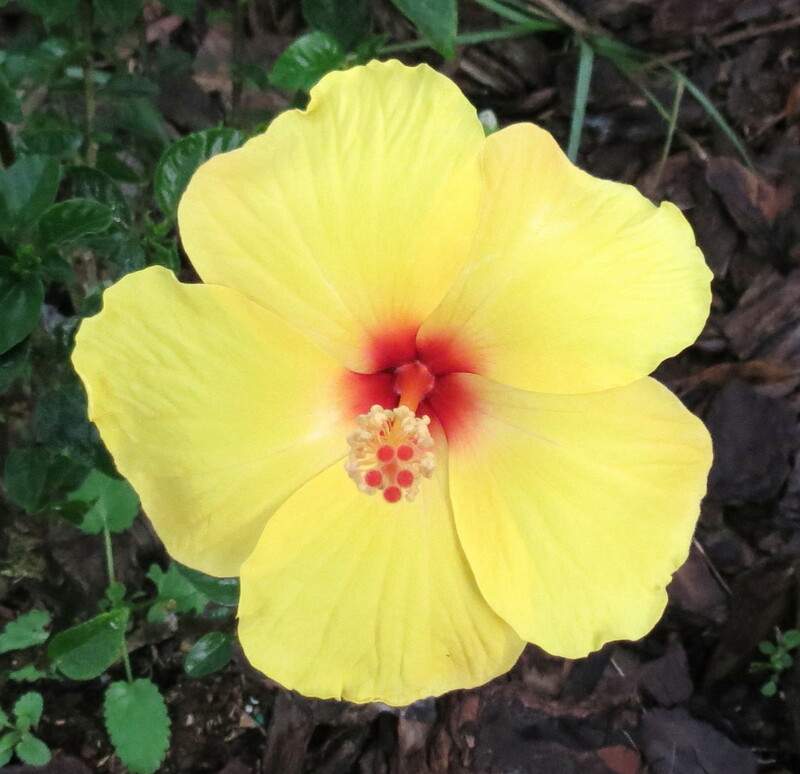 This morning I discovered a beautiful yellow hibiscus blooming in the flower bed. Last month, the little bush was doing so poorly that I almost gave up, but then planted it in a sunny spot, and let it be. You'll recognize your gift as it comes with a ripple of Aha!, catching you off-guard. Turns out, this lovely hibiscus is a sign of rebirth and youthfulness. The flower's message: Take advantage of opportunities while they present themselves--even if only for a short time. I love the color yellow--it reminds me of the soft glow of a candle, dispelling darkness and bringing faith. Enjoy your day and open wide to the opportunities to celebrate this joyful season of love, peace, and goodwill. What a wonderful time to commune with your Higher Self to wrap up old business and prepare for a brand new beginning.